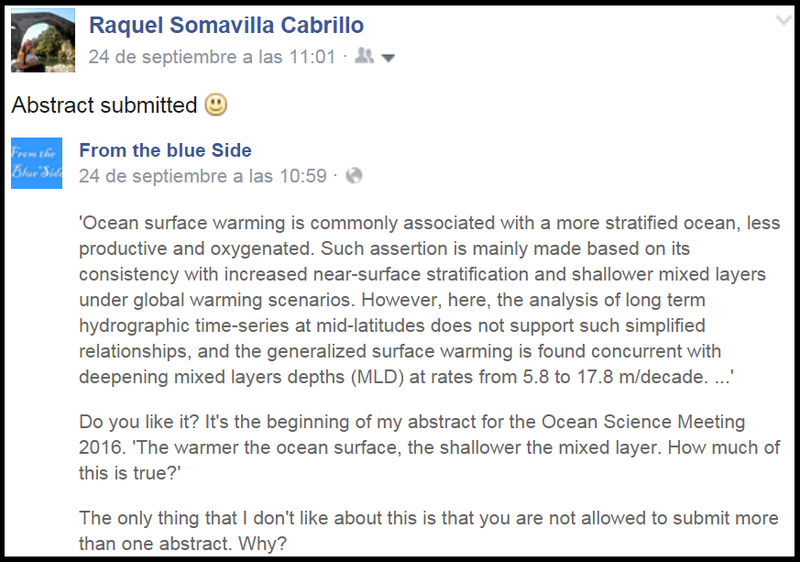 The warmer the ocean surface, the shallower the mixed layer. How much of this is true? Y mis MARes (vosotras sabéis quien sois) mostraron mucho interés. He tardado un poco, como de costumbre, pero aquí os dejo un poquito más de lo que puedo contar de momento … en formato video! And mis MARes showed much interest. It took a while, as usually, but here you have a little bit more than I can tell you for now ... and as a video! 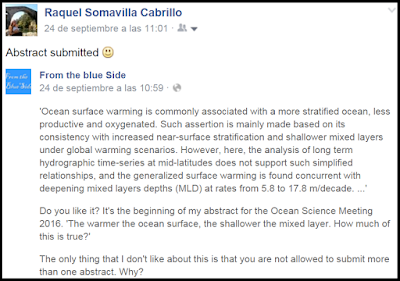 The warmer the ocean surface, the shalowwer the mixed layer. How much of this thrue?